Wednesday, July 31, 2013 was the world premiere of ‘J2K’. 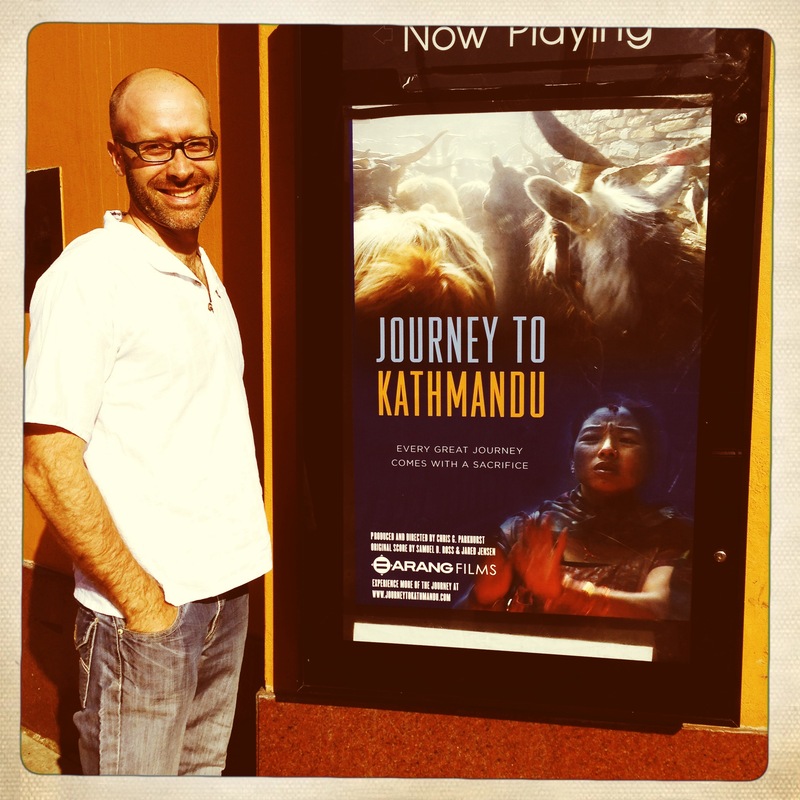 Nearly four years after I first rolled cameras in Nepal, I was finally able to present to the world ‘Journey to Kathmandu’. Nate, Jason, Matthew, and Cailin and everyone else at the Hollywood Theatre were brilliant. I can’t say enough about the friendly and knowledgeable staff. Other than the usual requisite pre-screening projection technical scare, everything went off without a hitch. The Q & A following the film was enlightening, engaging, and overall pretty darn fun. What an interesting sensation being in front of an audience of 111 people and fielding questions about a film that I’d spent the better part of the last four years of my life doing. Some of the questions were truly thought-provoking and I’m excited to perhaps share video of this in a later blog entry and/or as an extra in the forthcoming ‘Journey to Kathmandu’ dvd. Speaking of, a number of people have been asking how they might get a dvd copy of the film. 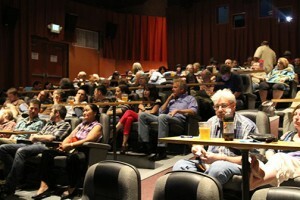 We sold special limited edition Portland Premiere dvds at the screening for just $10. These were no frills, no extras, standard definition dvds made just for the event. (Plans are underway for a high def, extras-loaded dvd to be released later in the year.) If you’d like to purchase one of the few that are remaining, you can buy through PayPal by sending monies to cgparkhurst@gmail.com. Please include $3 for shipping and handling. That being said, just be aware that the much more presentable dvds will be available in a few months. These ones are just for those who can’t wait! Those in attendance were also treated to a first glimpse at the next Barang Films project, as we showed a preview of a documentary that we began filming in Cambodia earlier this year. Afterwards, a number of people have inquired about the specifics of the project. I’ll be posting the trailer and more information very soon, so stay tuned for that! Wednesday, July 31st has come and gone. But the journey of ‘Journey’ has in some ways only just begun. We are awaiting word on a few early film festival submissions, most notably Film SouthAsia, which will be running in a number of cities including Kathmandu during this year’s Dashain Festival (!). 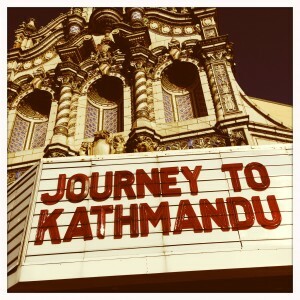 Super hopeful that it gets in there so I can tell all of the amazing Nepalis who worked on and starred in ‘Journey’ that they’ll have a great opportunity to go see it! Distribution and film fest strategies continue and I’ll keep you posted on the various ways that you might be able to catch a viewing of the film or purchase a copy of the dvd. I’d love any and all help getting the word out as it shows in various cities around the globe. 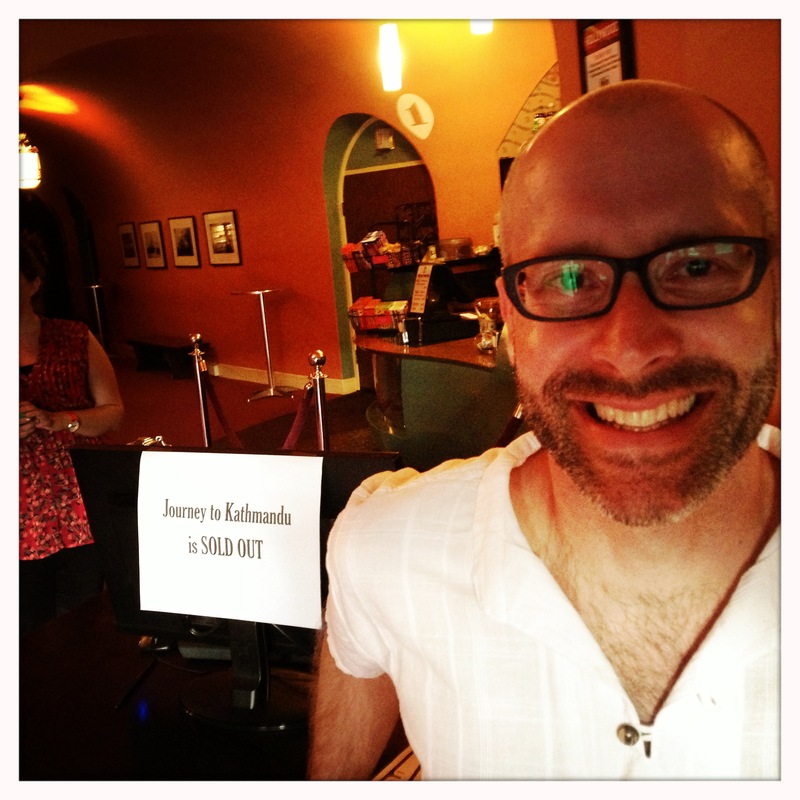 « Tickets On Sale Today for ‘J2K’ World Premiere!